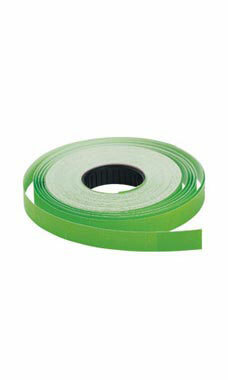 Green SSW Single Line Labels help deter price switching and delays at the checkout. The labels can be used for pricing with our SSW 1-Line Labeler and to provide pricing information customers need to know. Our labels are available in an array of colors. You can change your label colors for sales and other store promotions. Labels are sold 1000 per roll. We use these for inventory management. They stick well to a book spine & are an excellent value. just as expected. great for eye catching color..
We bought one of each color and one gun to give the labeling system we wanted to try a go, and though we now we have to order 100's of rolls at a time, we were able to try it out for a great price.